Holy Cow! Live Blogging With National Milk Producers YC Leadership In Reno! It is an honor to have been asked to be part of the National Milk Producers Federation Young Cooperators Annual Meeting at the Grand Sierra Resort in Reno, NV. I have been asked to share some of my social media experience. I know that when I started at social media, I did so with a bit of fear and wondered to myself, “What the heck am I going to talk about….and who the heck is going to listen”. I started slowly and with topics that interested me. I started to share my life and show others what dairy farmers do and why we do it. I jumped in one foot at a time as my comfort level grew. I started with Facebook, then Twitter, and lastly blogging. I had and still do have some “tech” issues. With a little practice I managed to make my way and do the best I can. I started video blogging knowing that so many people or so very busy these days. A quick and positive picture or video clip can speak volumes and it is also easier for me as I am outside so often working and not able to be just sitting at my computer. The best way to learn is to see it done. So I am proud to post live to show you how very simple it can be! Really if I can do it…you can do it! From Cows to Cream! Dairy Farmers Urge You to Celebrate July…National Ice Cream Month! The International Ice Cream Association (IICA) encourages retailers and consumers to celebrate July as National Ice Cream Month. In 2010, National Ice Cream Day will be Sunday, July 18. The U.S. ice cream industry generates more than $21 billion in annual sales and provides jobs for thousands of citizens. About 9% of all the milk produced by U.S. dairy farmers is used to produce ice cream, contributing significantly to the economic well-being of the nation’s dairy industry. In celebration of Ice Cream Day…heck the month…why not make some! Here is a fun and easy way using a Ziploc bag! Milk can become homemade ice cream in five minutes by using a bag! This homemade, creamy treat is a summertime delight for kids and adults alike. Put milk, vanilla, and sugar into the small bag, and seal it. Shake until the mixture is ice cream, which takes about 5 minutes. Wipe off the top of the small bag, then open it carefully. Enjoy! A 1/2 cup milk will make about 1 scoop of ice cream, so double the recipe if you want more. But don’t increase the proportions more than that — a large amount might be too big for kids to pick-up because the ice itself is heavy. June is Dairy Month! Our Cows Get Great Care Everyday! 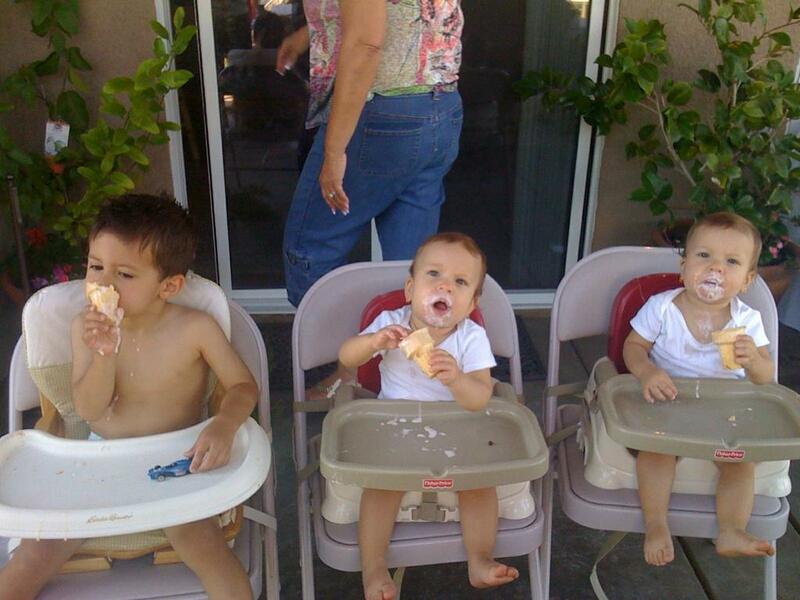 My friends Grandchildren enjoying ice cream in celebration of June dairy month! Well there has been lots of talk about “June Dairy Month”. That tradition began back in 1937. During the first two years it was called National Milk Month and ran from June 10 to July 10. June Dairy Month was established to help stabilize dairy demand during periods of peak production. June Dairy Month became the official title of the promotion in 1939 and focused on greater use of dairy products. In 1955 the American Dairy Association (ADA) became the national leader for June Dairy Month campaigns. It continued to evolve over the years and entire communities across the country, both rural and urban, have embraced it and become involved in many ways. The cooperation between farmers and other community members are really the basis of what June Dairy Month is all about -celebrating and using a wonderful product! For dairy farmers, June, like every other month, is about work and commitment to our cows, their comfort and well-being. With our cows comfort we are able to bring you all of the great milk that makes all of the dairy products you enjoy! Day in and day out that does not change! See how we at Tony Martin Dairy celebrate! 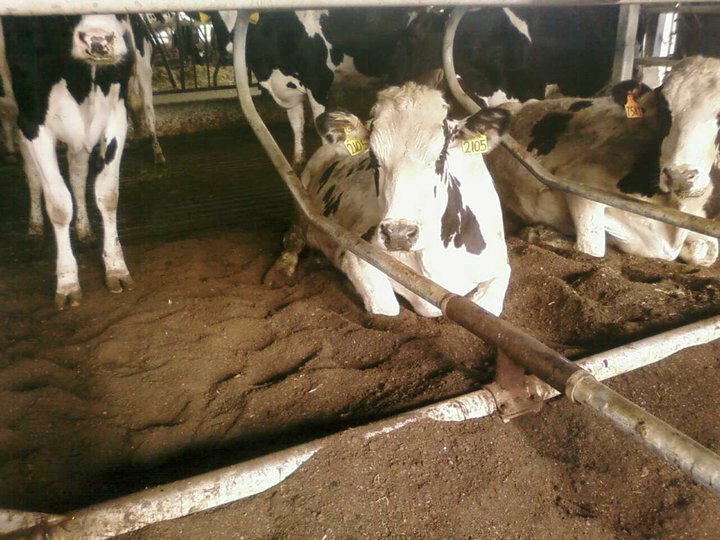 Chica Exposed….Milking! She Is One Contented Cow! Well here is my girl…Chica! She seem to really enjoy being milked, as all cows do! I am told that she prefers to be the first one in. In the video she is certainly enjoying chewing her cud. I want to send my sincere gratitude to Kate Rector who sent me this video and to Justin Breedyk who is doing such a great job milking her and the other girls. I know too, that Chica is enjoying the beautiful, progressive milk barn too! I miss Chica everyday but so happy to see her so happy. My son did mention that she has had some difficulty getting pregnant again…so please keep her in your prayers that she may soon carry a calf again soon! Cows Are Smart-Chica Is Proof! Dairy Camp Is Going Great! Chica Chillin' on Mother's Day! I want to Thank Jake for sending me this update! I have been very busy getting cheese room ready. …I will be blogging more about that later. Thank you for checking in and your support! I enjoy sharing with you all so much!